Since 2008, the England Athletics National Awards and Hall of Fame Evening has seen a plethora of phenomenal athletes and commentators whose words and phrases accompany some of the greatest sporting moments within the sport of athletics, inducted into the Hall of Fame. The evening is also a chance to celebrate new young athletes who will be the stars of the future and recognise the selfless efforts of countless volunteers who are the bedrock of any sport. 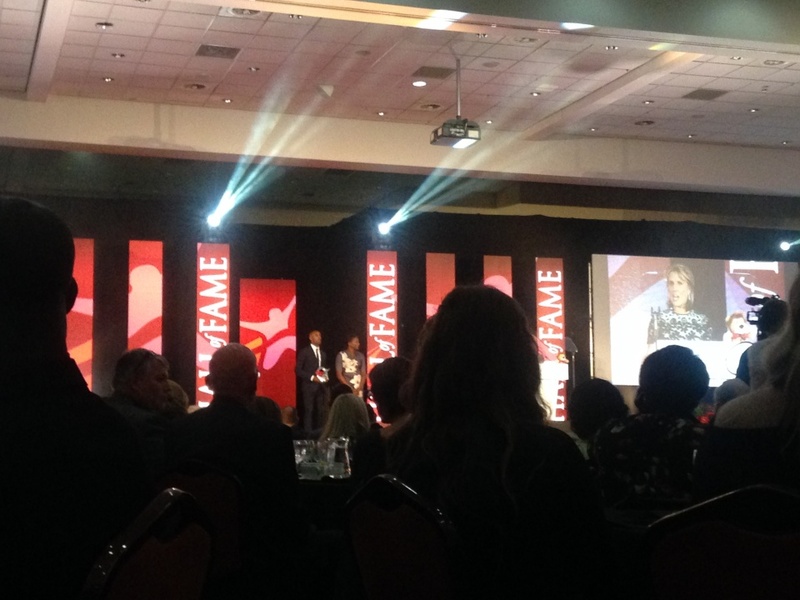 This year, our DSActive Project Manager was lucky enough to be invited along to the evening as 2 of our athletics clubs were nominated for awards. The Ricoh Arena in Coventry was the venue for this year’s awards evening, with the great and good from the world of athletics gathering to celebrate another successful year in the sport. The evening started with a drinks reception where it was hard not to be star struck by the number of well-known athletes in the crowd. From the brilliant Paralympians Hannah Cockroft and Danny Crates to Ashia Hansen and Kelly Southerton, the best of English Athletics were there and ready to celebrate the achievements of others. The first awards of the night went to volunteers who give up countless evenings and weekends to ensure that their sport continues to grow and succeed. It was inspiring the hear all the stories of those nominated, and particularly inspiring that two clubs the DSActive team work with were nominated. Didsbury Runners became the first running group in the country to launch a session specifically for athletes with Down’s syndrome, you can see more about the group through their interviews with the BBC and ITV by following the links. Irene Brown was also nominated, she is the heart and soul of Exeter Harriers, and it is largely due to her hard work that the very first DSActive Athletics session has been so successful. A huge well done to both clubs on their nominations which were well deserved! The evening concluded by inducting 7 athletes in to the England Athletics Hall of Fame, where they joined esteemed athletes such as Jonathon Edwards, Darren Campbell, Sir Roger Bannister, Sally Gunnel, Dame Kelly Holmes and many more. It was a very inspiring evening, so much so I even dusted down the running shoes and took to the park near where I live. Judging my how much my legs hurt afterwards, I might have left my training a bit late for Tokyo 2020!